4101 Laclede is a new luxury mid-rise in the Central West End. Amenities at 4101 Laclede include an outdoor pool deck with cabanas and an outdoor kitchen, a fitness center, garage parking, private terraces, and much more. PLEASE NOTE: Gregg Sharpe is not the listing agent for the condos at 4101 Laclede. The building is listed and marketed by Dielmann Sotheby's International Realty. 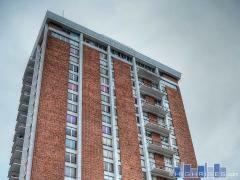 Have any comments or questions about 4101 Laclede? Ask your question and/or share your thoughts about this Building.